From the terror of premature labor to four months of agonizing bed rest to a completely adorable, healthy and awesome baby girl. The past 18 months have been a roller coaster but Miss Parker Violet Lippitt is the best reward Andy and I could have hoped for. 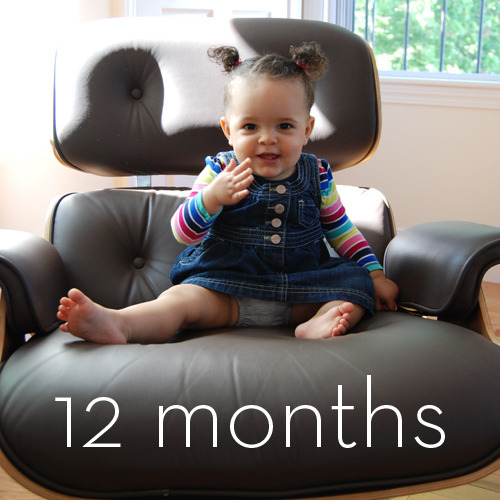 The three of us have survived a full year of new familyhood without any real disasters. Dare I say, we might actually all be really good at this thing. The pediatrician thinks she’s a bit ahead of the developmental schedule, which is super vague but every parent loves to hear that. I’m looking forward to being done with formula and baby food. She eats “real” food, is dabbling with whole milk and is great about drinking water. She’s eating and growing very well. Other than “mushy” fruits (bananas, canned peaches, overripe melon), she’ll eat almost anything. Currently, we’re sampling kidney beans, quiche and bagels. We celebrated her first birthday (May 17) by inviting our nearest and dearest to a party in The Biscuit’s honor last weekend. I had a professional photographer here and didn’t take a single picture so you’ll have to wait on checking out what you missed. Let’s just say we went through most of a case of champagne, lots of beer, enough food to feed 25 people and most of an amazing two-tiered, orange velvet birthday cake. 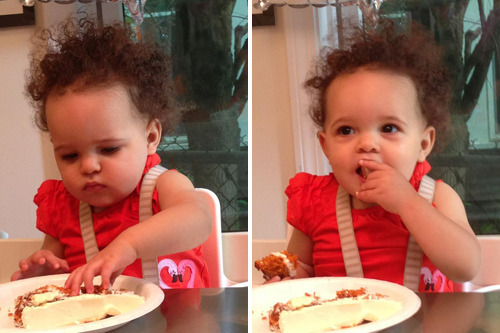 Ever the little lady, she ate her piece of cake with her fingers and … that was it. Kinda anti-climactic without the typical cake smash but that’s my girl. Parker also had official one-year portraits taken last week. Those are coming soon as well. Stay tuned. Current stats: 30.5 inches long; 21 pounds, 12 ounces. She’s not as chubby as she used to be and seems to be getting longer and leaner. Tooth count: 7 (4 up top, 3 on the bottom) and the pediatrician says there’s at least one molar coming in. New tricks: she’s nearly walking. It’s mostly a confidence issue but she can do it. Lots of pointing and waving. Splashing in the tub. Words: hug, eyes, head, teeth, ‘pus (octopus), mama, dada, pop. She likes to shake her head no but hasn’t actually said it yet. I’m in the busy season with work right now but I’ll try to keep doing regular updates. New videos are posted on the blog here and on the Vimeo site. My two favorite people looking at the sky.